Lt. 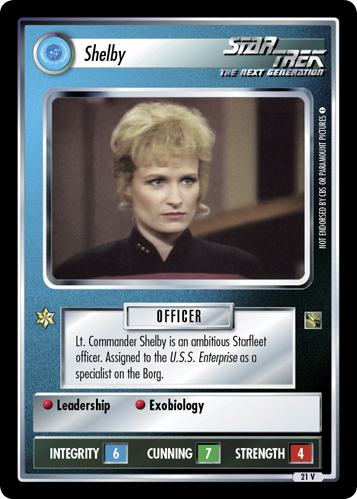 Commander Shelby is an ambitious Starfleet officer. 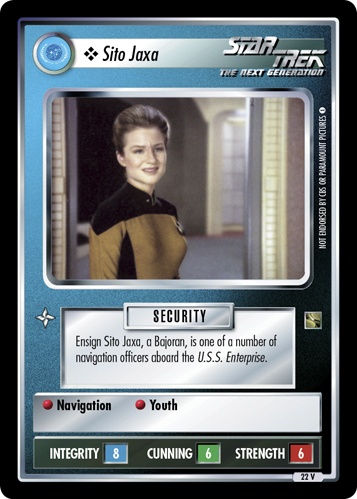 Assigned to the U.S.S. 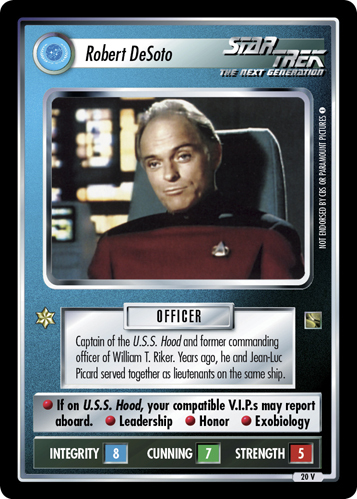 Enterprise as a specialist on the Borg.